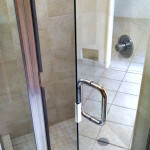 Semi-frameless shower doors create a clean, modern, and sleek look in your bathroom. 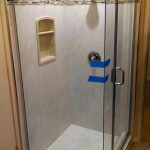 The design of a semi-frameless shower enclosure will depend on the architecture and structure of the bathroom and personal taste of the homeowner. 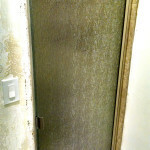 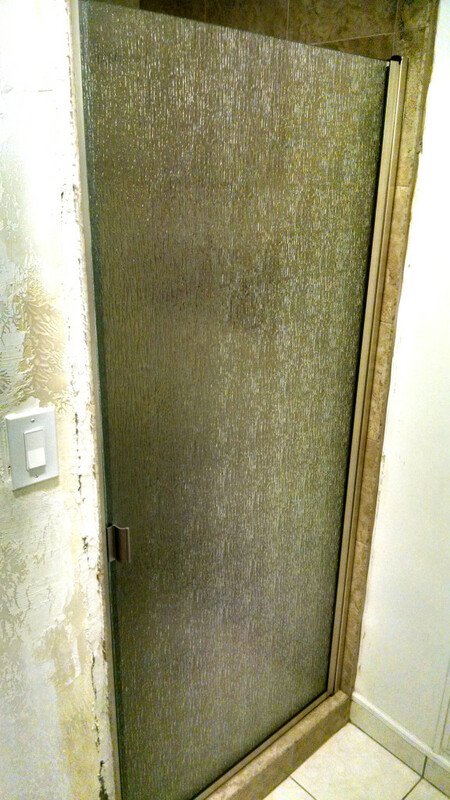 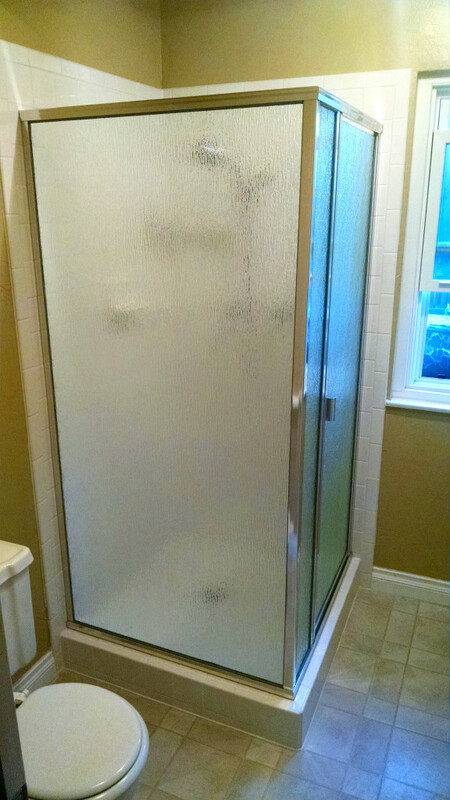 What are Semi-Frameless Shower Doors? 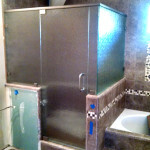 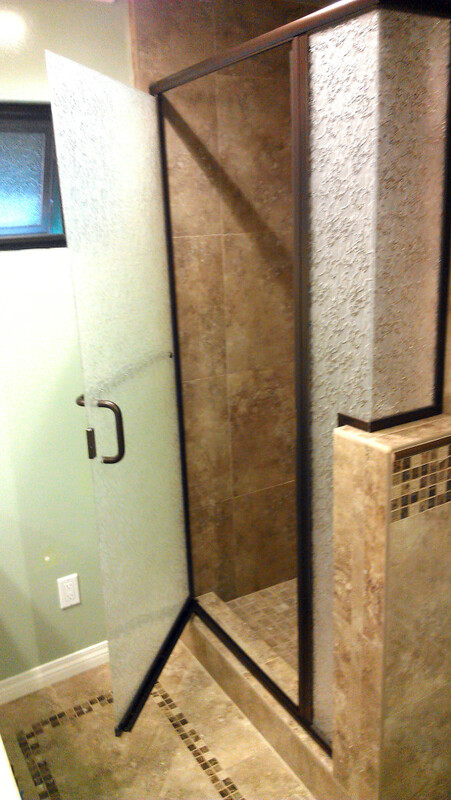 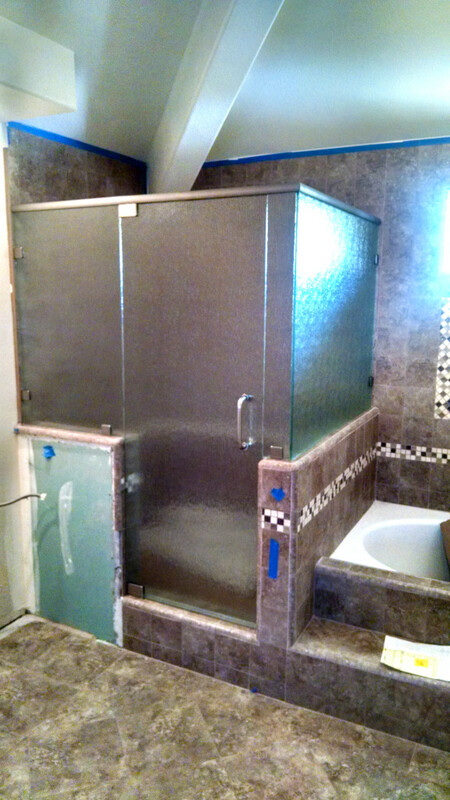 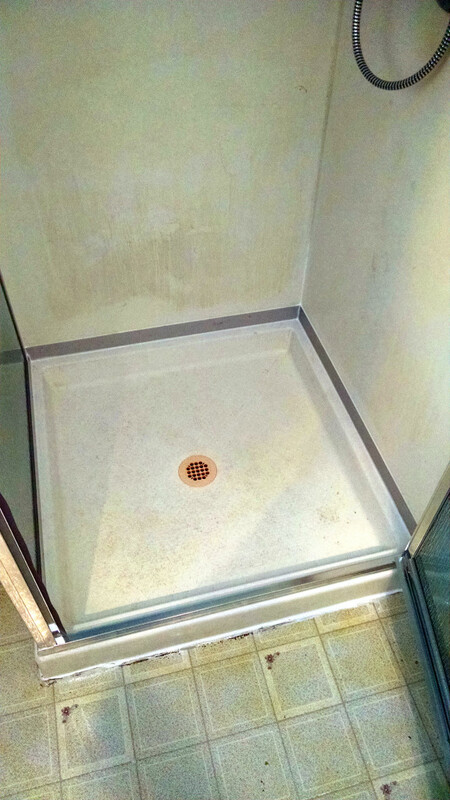 A semi-frameless shower enclosure is supported on all four sides by metal framing. 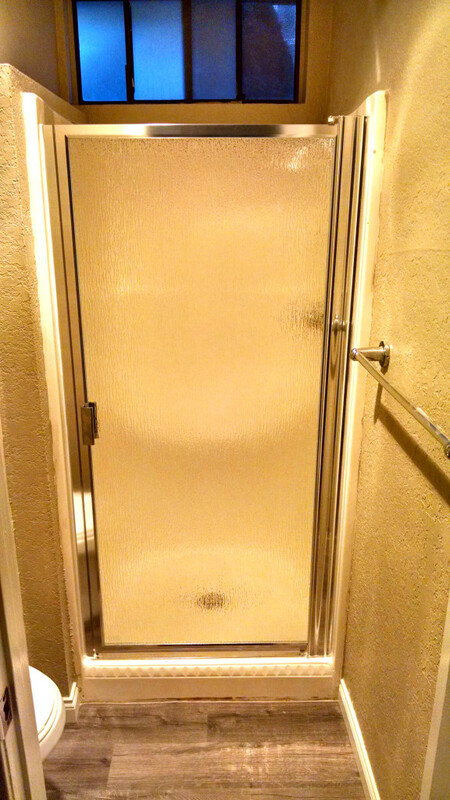 It is often very similar to framed one, except for the door. 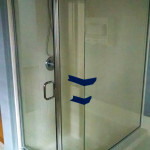 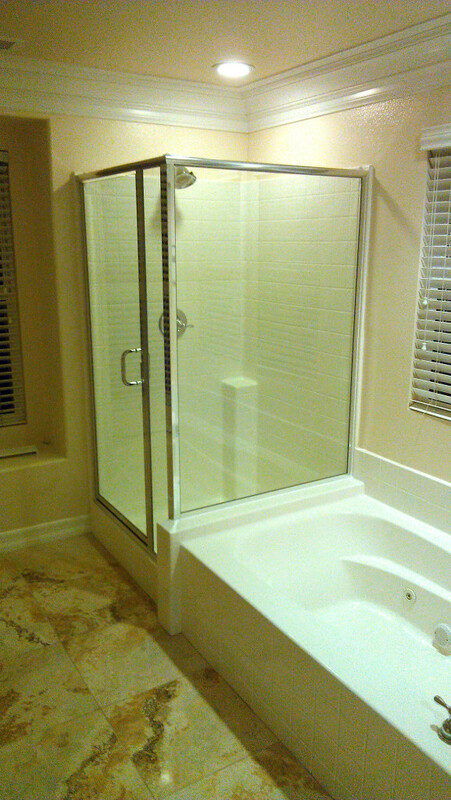 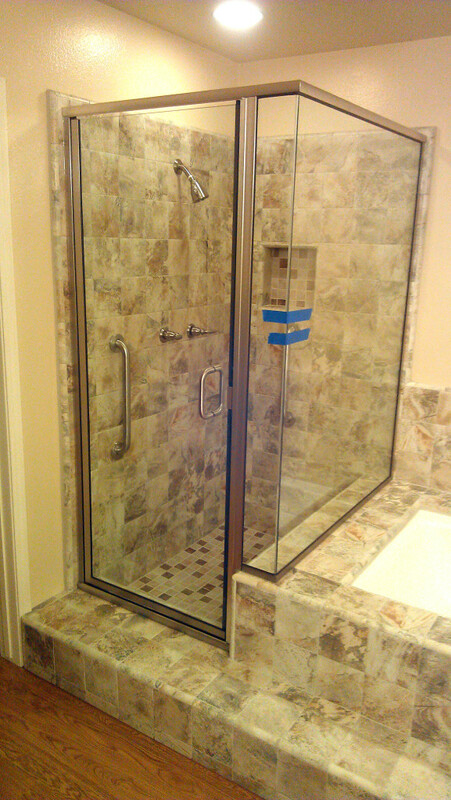 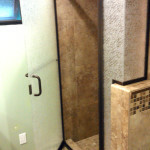 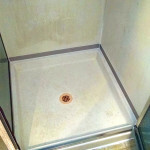 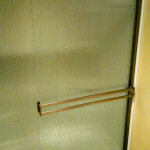 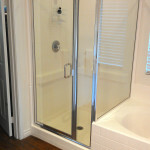 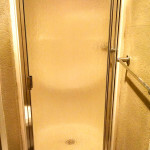 The frame around the four sides in semi-frameless shower doors makes them appropriate for any bathroom size and layout. 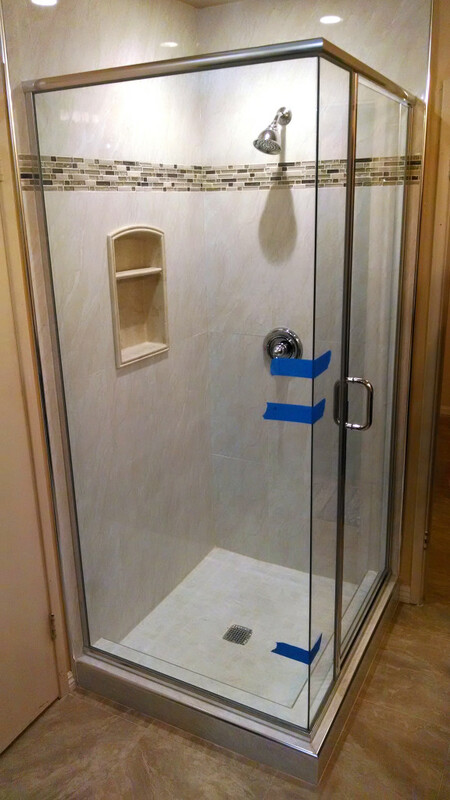 The diverse options of frame colors and styles allows you to make the framing part of your design, not to mention that the frame is highly effective in keeping the water where it belongs. 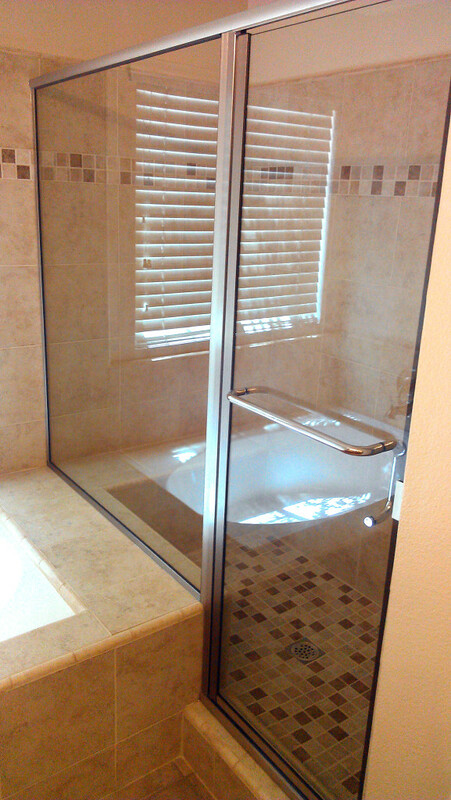 Semi-frameless glass doors also offer more decorative glass options. 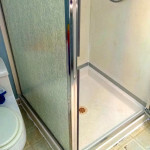 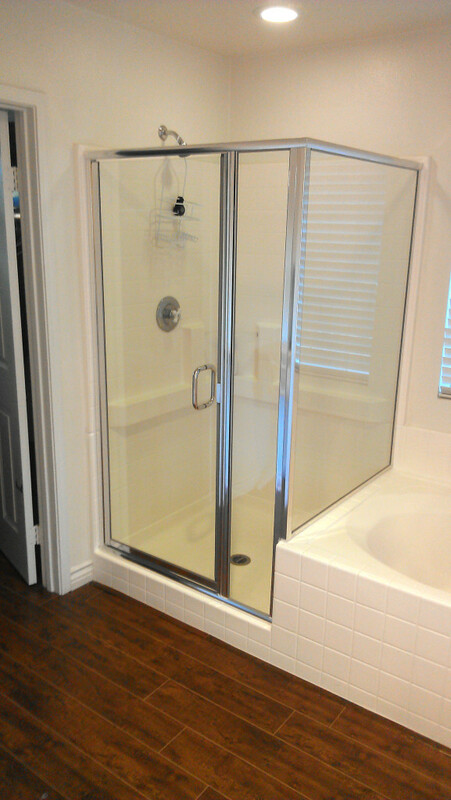 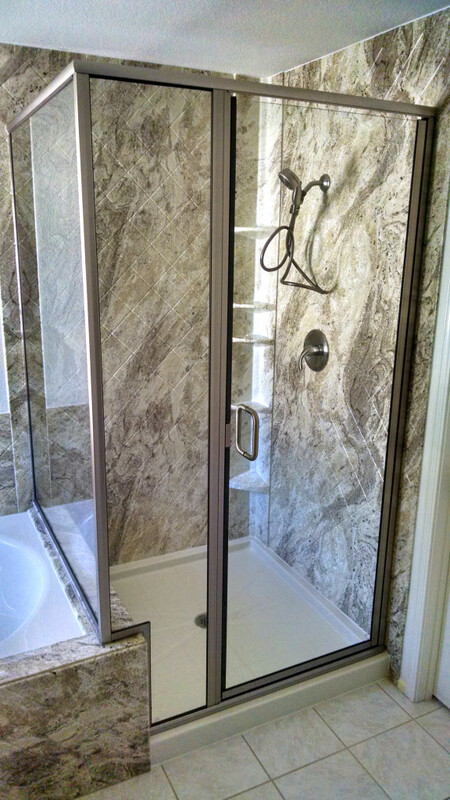 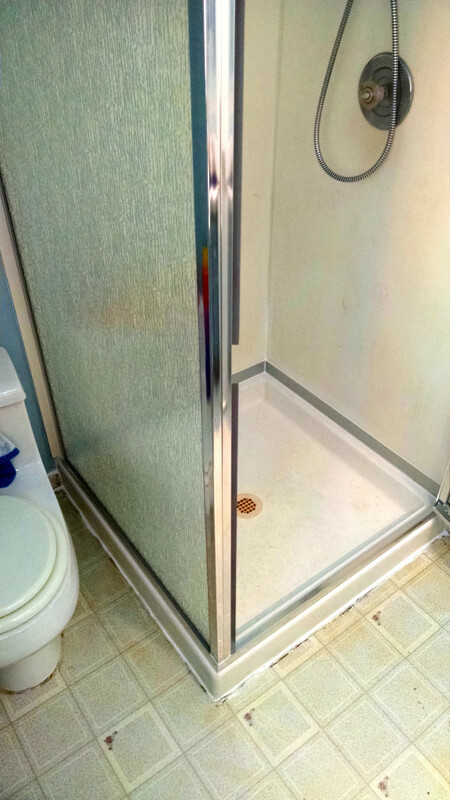 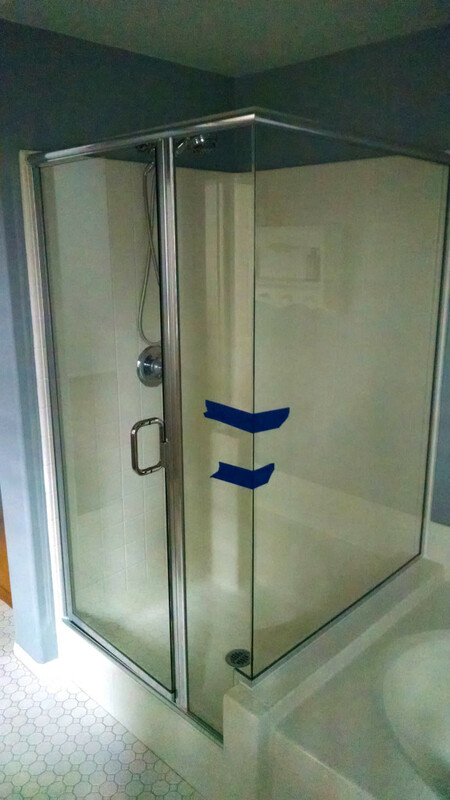 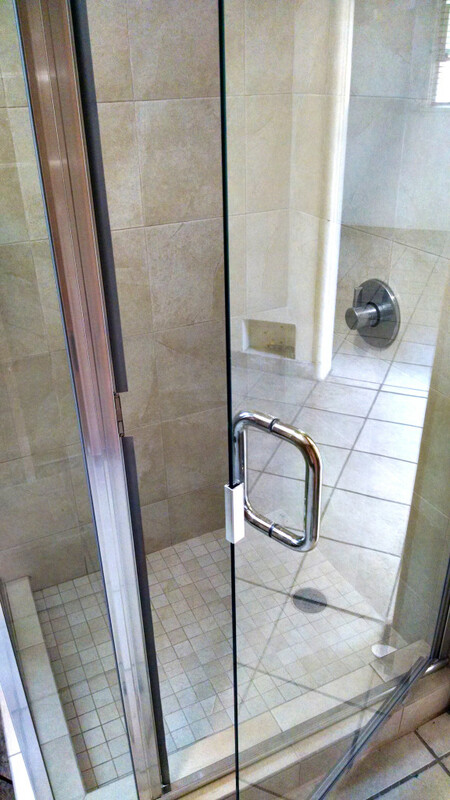 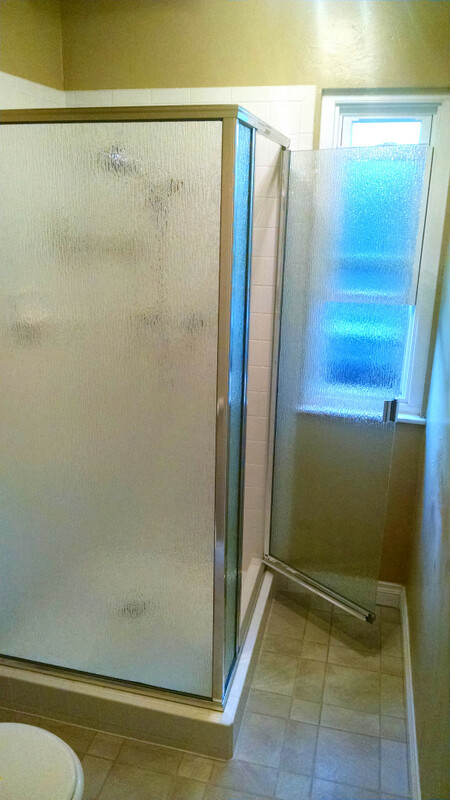 A semi-frameless shower door is typically more affordable than a frameless one. 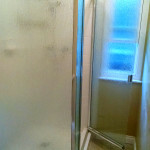 However, it withstands the tests of time, beauty, and portability. 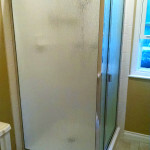 Please take a few minutes to see our photo gallery below. 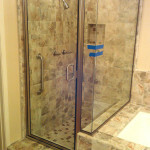 Tell us which one best suit your needs and we will be glad to present a design to you. 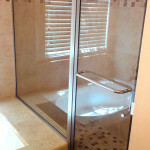 Call us or use our Contact Form . 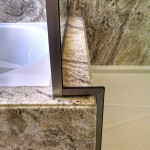 We will assist you in every step of your project, from design and construction, to installation. 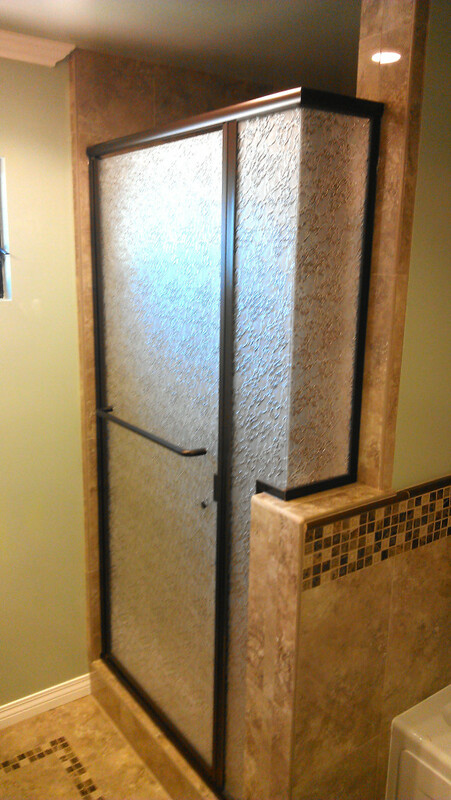 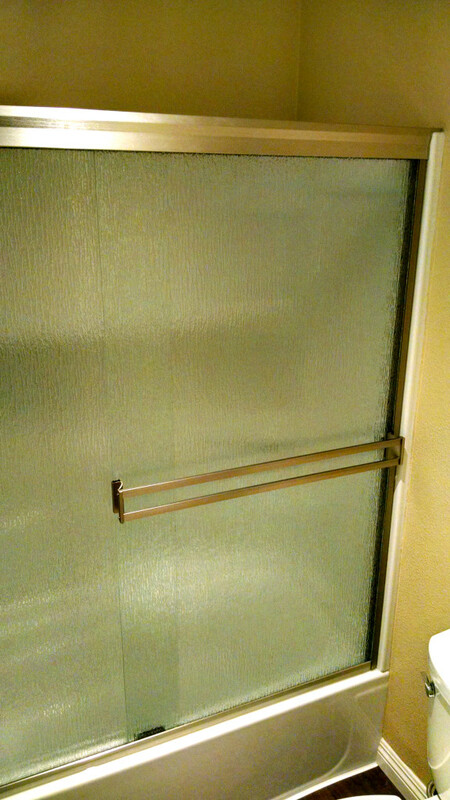 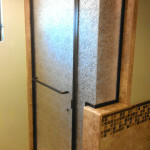 Our shower doors are heavy and durable. 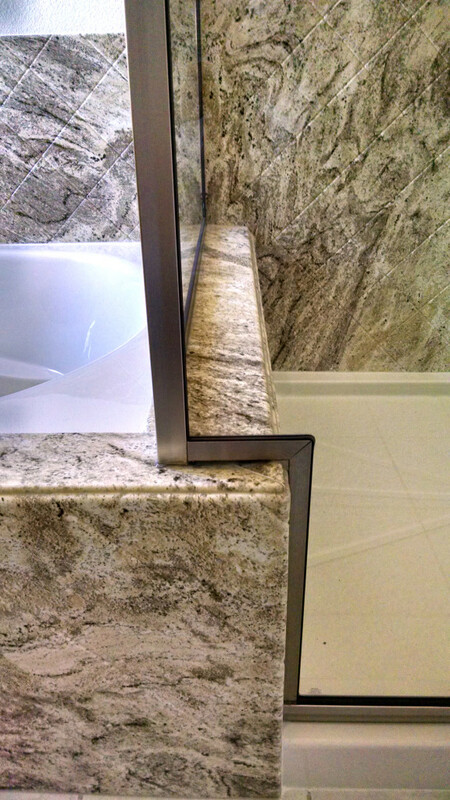 There is no limit to the materials, colors, and textures we use. 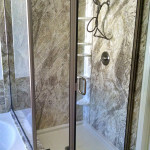 The information presented in this page will introduce you to the ones we use the most.